Thanks Themiis I always get confused where to put things. Katiedot said if I put separate it was easier to merge them. Have a good one. Hope this has some new info that's interesting. George Clooney becomes the latest Hollywood star to create his own agave brand in the hope of hitting Sammy Hagar's $100 million payday. In the heady early days at MTV, the drink of choice was tequila, according to network co-founder Bob Pittman. At company celebrations, tradition dictated that employees congregate and drink a shot, flinging the glasses against whatever wall was convenient. This bit of controlled mayhem was a galvanizing force, even if, as Pittman says, "we had to stitch up a few bloodied feet in the process." Rumbling behind the scenes at rock 'n' roll shows, tequila has inspired more than its share of monster jams and postgig revelry. But during the past half-decade, its allure has attracted public figures into brand partnerships and ownership. This ever-expanding group includes rockers Carlos Santana(Casa Noble) and Motley Crue's Vince Neil (Tres Rios), country star Toby Keith (Wild Shot) and Justin Timberlake (901 Silver). 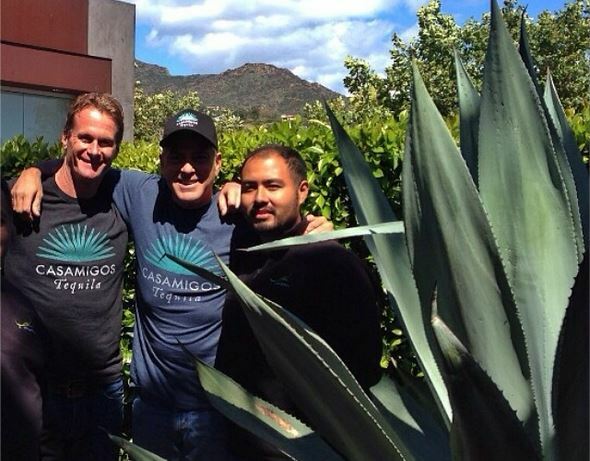 This year, George Clooney and nightlife entrepreneurRande Gerber (with real estate developer Mike Meldman) debuted Casamigos, named for Clooney's and Gerber's adjacent properties in Cabo San Lucas. In 2009, Pittman launched Casa Dragones, which at $275 a bottle ranks as the category's priciest. Travel to the Mexican state of Jalisco, and it's not uncommon to run into celebrity entourages at distilleries. Everyone from Shaquille O'Neal to Sean Combs is rumored to have interest in investing in a tequila brand. Whether it's the mysteries of the blue agave source plant, the exoticism, the inebriation or some combination, celebrity interest in tequila is at a high. So are profits: In the U.S., the biggest market, it's a multibillion-dollar business. Since the most recent recession, sales have grown 5 percent annually -- particularly among ultrapremium tequilas, the classification of many of these new brands. "Not only is it a fun drink, but the depletions (i.e. product turnover) are crazy," says former Van Halen frontmanSammy Hagar, credited with first hitching horses to this bandwagon during the '90s when he founded Cabo Wabo tequila. His competitors look with awe at his success: Campari Group purchased a controlling interest in 2007 and bought Hagar out three years later in deals said to total $100 million. Business arrangements -- some of which are shepherded by top Hollywood agencies, such as CAA with the Casamigos trio -- run the gamut from full or significant ownership (Casamigos, Keith, Timberlake) to endorsements. In the latter case, a celebrity can be given a fee for services, a percentage of royalties or equity points. (Agents who specialize in these deals say they've seen ownership stakes ranging from 3 percent to nearly 50 percent and that celebrity endorser/owners rarely put in any of their own money.) The spirits category also has high margins: A bottle of tequila can cost $5 to $10 to produce; most of the brands discussed here retail for $40 to $50. Vodka has the potential for much greater profits though -- grain is much cheaper than agave -- and the vodka market is bigger. 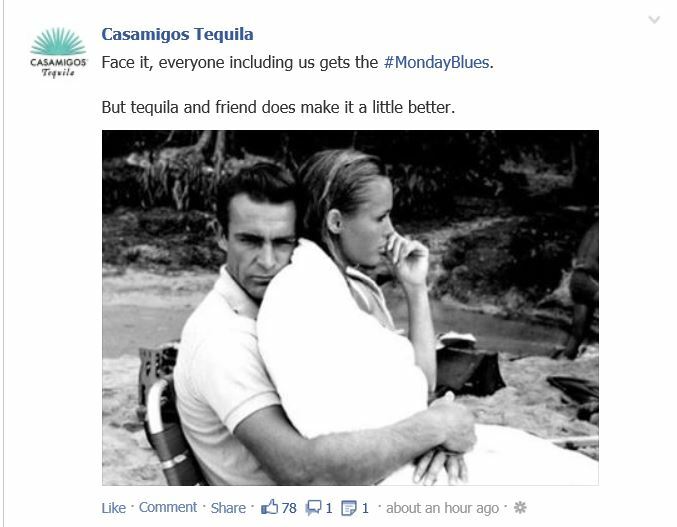 (It claimed 34 percent of sales in 2012 compared with tequila's 6 percent, according to Impact Spirits Databank.) Vodka has produced both major winners -- Combs' Ciroc endorsement deal with Diageo nets him eight-figure yearly payouts -- and losers, like the failed Trump Vodka. The cost burden for spirits comes in marketing. Says Ken Austin, founder of Tequila Avion (a brand that gained broad recognition when it figured into a story arc during seasons seven and eight of HBO'sEntourage): "Juice is just a fraction of the cost. The liquor business is a very expensive business; it costs millions of dollars to get in since you're competing with multinational brands." Stars, he adds, have a built-in advantage with the name recognition they bring. The potential downside is tarnishing a celebrity's reputation as a spokesperson, even if they don't personally lose money. The upscale tequila trend began during the '80s. Before that, it was an acquired taste, a spirit known better for its fiery kick and honky-tonk cred than sophistication. In 1989, Paul Mitchell's John Paul DeJoria co-founded Patron (now the U.S.'s No. 2 seller behind Jose Cuervo), whose multiple distillations, smooth taste, luxe packaging and price tag vaulted tequila to a rarefied level. "Before them, the high-end market really didn't exist," says Brian Dow, head of branded lifestyle at the APA Agency. The goal quickly became: Start the next Patron. That's clearly the target of Chris Brown, a Phoenix real estate developer who founded Bonita Platinum in 2010. It's sold in a crystal bottle set in a satin-lined black box. "We wanted to produce a luxury item that American consumers could embrace," says Brown. "No sombreros, no scorpions." Early on, Brown sent a bottle to rap star Xzibit, whom he'd seen in a music video extolling the virtues of -- what else? -- Patron Silver. "A few days later," says Brown, "I got a tweet from Xzibit saying, 'This beats Patron hands-down, for real.' " Soon after, Xzibit became an active partner in Bonita Platinum. "If we didn't have the support of Xzibit, all I'd get is a slap in the face," says Brown. "Instead, I'm going to distribution meetings." Owning one's own clubs helps, too: Hagar featured Cabo Wabo in his nightclubs of the same name, and Gerber will sell Casamigos at his clubs and lounges. As tequila goes more upscale, its flavor profile continues to veer toward a highly refined spirit that goes through multiple distillations. "Everything we've done with the brand is geared toward making this a sipping tequila, like scotch," says Pittman of his remarkably silky Casa Dragones. Adds Kevin Ruder, Timberlake's partner in 901 Silver, "We didn't want to see people making that 'face' when they drink it." Ruder toured more than a dozen distilleries, settling on Tequilera Newton e Hijos because it could execute a style smooth enough to appeal to the pop star. Some purists, however, bemoan this trend as relatively toothless, the bottlings sweeter and more innocuous than the real thing, which one spirits expert describes somewhat dismissively as "vodka with tequila flavoring." Then again, for many, that hardly matters, as the celebrity upscale tequila juggernaut churns on. In July, when Timberlake launches a summer tour, 901 will be cross-promoted; consumers will have a chance to win tour tickets (where legal) through the 901 website. Timberlake also has promoted the brand to his 21 million Twitter followers. "We should all believe in something," he tweeted in the fall. "I believe it's time for another shot of tequila. … happy @901Silver day everybody!" My local Bottle King now carries Casamigos. I had a good look at it today...I am doubting they are signing ever bottle. The signatures were all exactly the same....I still don't love the design and the price is to rich for my blood. They also had the Caliche Rum....love the bottle and it is actually priced well especially if I would use my card. silly girl wrote: My local Bottle King now carries Casamigos. I had a good look at it today...I am doubting they are signing ever bottle. The signatures were all exactly the same....I still don't love the design and the price is to rich for my blood. Oooh, you've got to tell us what it's like! 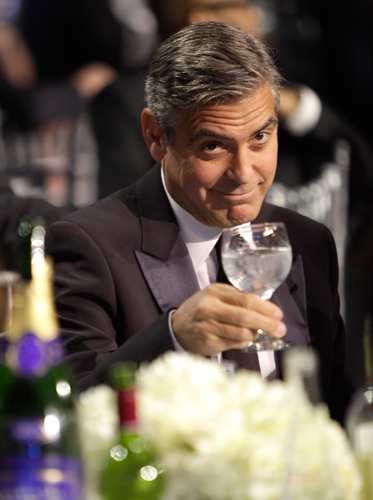 Clooney loves tequila. In fact, he loves it so much he recently partnered up with his longtime friend and Cabo neighbor, restauranteur Rande Gerber, to launch a tequila brand Casamigos, now available in blanco and reposado varieties. Their signature 80-hour fermentation process, double the industry standard, is meant to create a highly sippable tequila that can be enjoyed straight: no lime, no salt. Has anyone found the t shirts on sale yet ?? Joanna wrote: Has anyone found the t shirts on sale yet ?? I checked the where to buy section on the map at their site. They give locations where you can find the tequila, but not sure if those beverage sellers also carry the t-shirts. Funny, there's one bar about a mile from where I live that is selling it - I'm sure as a premium brand but since I don't do bar hopping any longer, won't be going down there to check it out. But I might stop in one of the beverage retailers to see if t-shirts are also available. Oprah has put Casamigos Tequila on her 2013 List of must have! 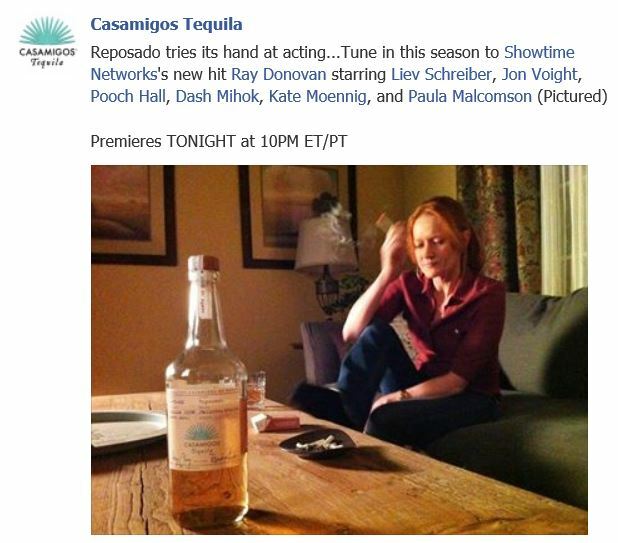 ally12 wrote: Oprah has put Casamigos Tequila on her 2013 List of must have! And there's a coupon for 20% off! Sorry Nicky I can't drink tequila. Drank too much of it once and now can't smell the stuff without getting nauseous. But I'm sure there are other COHers who would be willing to give it a try! Oh no, maybe you can put a clothespin on your nose hehe. And then after you taste George I mean Casamigos you start liking tequila again. And then you can thank George for making you drink Tequila again by sharing the glas. I want a t shirt . Not sure what this means if he is going it could tie in with the timing of the Armenian award on the third. 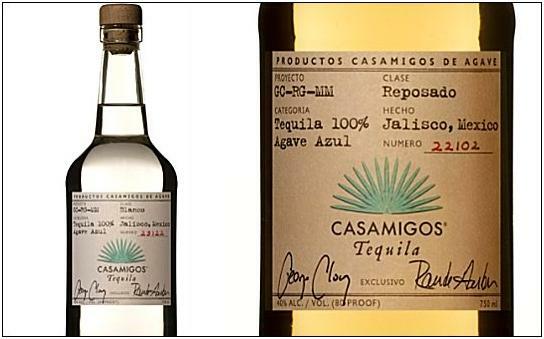 #George #Clooney’s #tequila @Casamigos will be hosted tomorrow @ Meet the Maker @LaBibliotecaNYC. Join us for #smooth #tequila #tasting. On Richard Sandoval's site it states Meet & Greet ambassador from different distillery every Tuesday Tequila Tastings. Tomorrow Max Blank of Casamigos. He has to be in town to receive the Armenian Award on the 3rd. see next thread. Sidney Frank Importing Company has won the exclusive right to import and distribute George Clooney’s Casamigos Tequila in the US and Caribbean from 1 April. Clooney, famous for his roles in films such as Ocean’s Eleven and Gravity, launched Casamigos Tequila with business partners Rande Gerber and Michael Meldman in 2013. 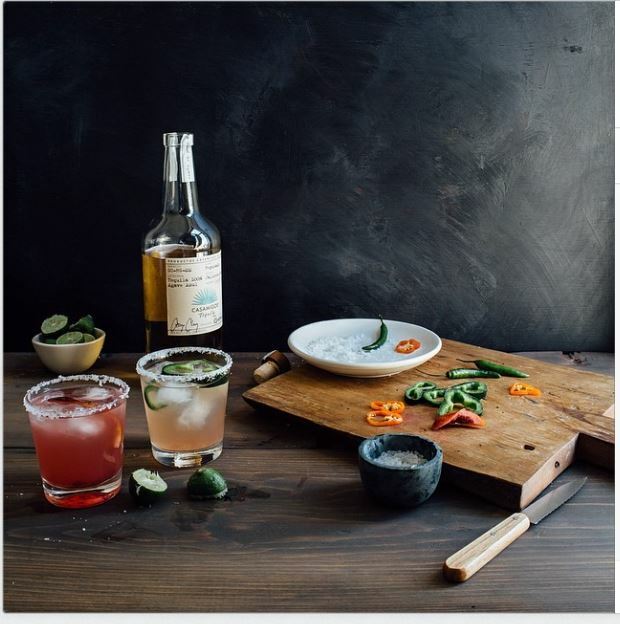 Available in two varieties, Blanco and Reposado, Casamigos Tequila is already available in 50 States, thanks in part to a road trip campaign conducted by Clooney and Gerber themselves. “We have long admired Sidney Frank Importing Company for their expertise in building ultra-premium brands,” said Gerber. In January 2013 the trio launched its first advertising campaign, featuring Gerber’s wife and supermodel Cindy Crawford. mmmmm. Margarita with lime and agave . Have these pictures been posted before? His post-Oscars party at Craig's? ??? I don't get it. What does this mean? where is there this tequila? Is there also to shop in Germany? Or in Italy? Lake Como is not far away from mine at home. I believe I must visit Clooney in Lake Como. Then I buy from him the tequila. I have tried the Reposado and it is everything they claim it to be--no mixer needed! Oh my goodness Ive been modded by another mod???? theminis wrote: Oh my goodness Ive been modded by another mod???? ......and did the earth move for you both ? Casamigos Blanco, which rests for two months in stainless steel containers, is crisp and clear, with subtle hints of vanilla. Casamigos Reposado, aged for seven months in American White Oak casks that have been carefully reconditioned after being used to age premium whiskey, is clean with hints of caramel. Both of these supremely smooth and refined spirits are best enjoyed neat or on the rocks without salt or lime, just as Clooney, Gerber and Meldman intended. i think they should change the bottle , and make it in another shape and different label something more commercial it's way to simple , it makes it look like a cheap tequila maybe they are just testing it in the market , to see how it goes . I'm assuming this is the agave plant attached to the Page Six prank story. It is rather big....how do you deliver something like that? this is how they cut the azul agave .